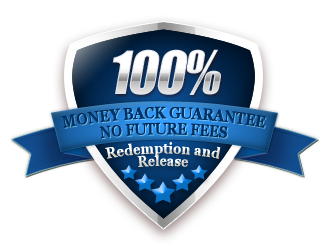 At Redemption and Release we believe that promises are meant to be kept. While many companies talk about a “guarantee”, very few put it in writing and no other company offers two. Our commitment to your satisfaction is unparalleled in the timeshare industry. Unlike other timeshare companies, our dual layered guarantee provides a complete protection that no other timeshare transfer office is able to provide. This unique guarantee matrix ensures the 100% successful release of your timeshare ownership, for life. You will soon have the peace of mind and comfort of knowing that your faith in our services was rewarded by our 100% money back guarantees. We stand behind our commitments and ensure your small investment in our office is protected by the industries strongest timeshare transfer guarantees. We provide a 100% money back guarantee ensuring the legal and permanent transfer of your timeshare – no matter where you own. Our second 100% money back guarantee provides you the lifelong comfort of knowing you will no have no future fees from your timeshare. Not only do we guarantee the entire transfer process, we also guarantee our timeshare redemption prices. We will match any competitors rate for equal services provided. We can make this offer because we believe in our product and have perfected and streamlined our services to be able to provide the lowest prices in the industry. Not only do we pledge your successful release, we guarantee the lowest price in the industry!